Kaamil offers simple SMS gateway connectivity options for those who need to SMS-enable their systems, websites, or applications. Using Kaamil's API (Application Programming Interface) integration is fast, simple and reliable. Our API is immediately multicast messaging enabled, allowing integration to any front-end or legacy system, with a direct connection into Kaamil’s global gateways. Kaamil provides a simple to use Web interface to communicate instantly with individuals or groups via your Internet connected computer and browser. The simplest and easiest way to send individualised, bulk text messages (SMSs) globally! All you need to do is type the recipient number or select the recipient group, type the message, and it will be sent immediately. You are an organisation wanting to send group messages such as event notifications, promotions or bulk SMS alerts. You are an individual looking to send a quick message or group text messages to all your friends. Kammil will connect you to the wireless world through simple integration! 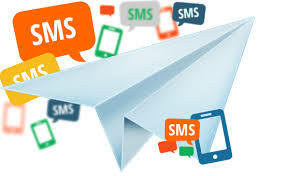 You will be able to send SMS messages to your clients, staff or user-database - around the globe. HTTP is one of the simpler forms of communication to the Kaamil API. It can be used either in the form of an HTTP POST or GET. Our API Supports Text, Flash, Unicode and 8-bit SMS messaging, and offers complete customisation and personalisation allowing the client to define the Sender ID (on limited networks) and message content. Kaamil provides users with a High speed Bulk group messaging interface that supports delivery of high volumes to the SMSC in text flash unicode and both short messages and multipart multi SMS messages also refered to as long messages these messages are sent as multiple messages and get compiled on the phone as a single long message. our network is capable of delivering long Arabic messages using unicode using this API. Kaamil provides you with a free desktop client Powerful and feature rich SMPP client capable of two way messaging auto response, multiple phone books,quick call or canned messages,complete details of sent and received messages and online account information. Kaamil provides you Email to SMS feature that allows you to use your own email client(Outlook, Gmail or any other email client) to send and receive SMS messages. This is a great interface for people comfortable with using email. It also allows for multiple people to use the system - a powerful tool for office communication. Once registered follow the email setup steps and you are ready to send from your email client. Replies to an SMS can automatically be forwarded to an email address of your choice.